The newly published research by NASA reveals some interesting, surprising and reassuring data about how one human body adapted to and recovered from the extreme space environment. A landmark study on twins by the National Aeronautics and Space Administration (NASA) revealed some interesting, surprising and reassuring data about how one human body adapted to – and recovered from – the extreme environment of space, the space agency said. 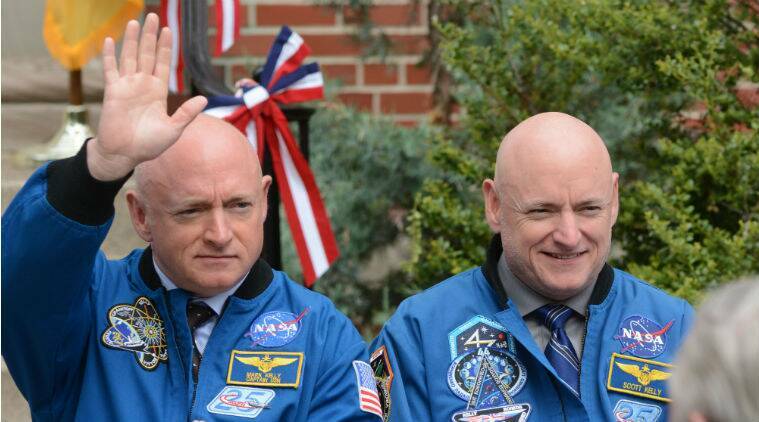 The investigation in which retired NASA astronauts Scott Kelly and his identical twin brother Mark Kelly participated was conducted by NASA’s Human Research Program. It comprises work from 10 research teams. The results of Twins Study were published on Science on Thursday. The study, which took place from 2015-2016 provides the first integrated biomolecular view of how a human body responds to the spaceflight environment, and serves as a genomic stepping stone to better understand how to maintain crew health during human expeditions to the Moon and Mars, NASA said. Mark Kelly provided a baseline for observation on Earth. While his brother Scott provided a comparable test case during the 340 days he spent in space aboard the International Space Station, thereby becoming the first American astronaut to spend almost a year in space. “The Twins Study has been an important step towards understanding epigenetics and gene expression in human spaceflight,” said JD Polk, chief Health and Medical Officer at the NASA Headquarters. “Thanks to the twin brothers and a cadre of investigators who worked tirelessly together, the valuable data gathered from the Twins Study has helped inform the need for personalised medicine and its role in keeping astronauts healthy during deep space exploration, as NASA goes forward to the Moon and journeys onward to Mars.” Polk said. Key results from NASA’s Twins Study include the findings which are related to gene expression changes, immune system response, and telomere dynamics. Other changes noted include broken chromosomes rearranging themselves in chromosomal inversions, and a change in cognitive function. Many of the findings are consistent with data collected in previous studies, and other research in progress, the space agency said. Telomeres in Scott’s white blood cells, which are the biomarkers of ageing at the end of chromosomes, were unexpectedly longer in space then shorter after his return to Earth with average telomere length returning to normal six months later. In comparison, his brother’s telomeres remained stable during the entire period, the statement said. Because telomeres are important for cellular genomic stability, additional studies on telomere dynamics are planned for future one-year missions to see whether results are repeatable for long-duration missions. A second key finding is that Scott’s immune system responded appropriately in space. For example, the flu vaccine administered in space worked exactly as it does on Earth, NASA said. A fully functioning immune system during long-duration space missions is critical for protecting astronaut’s health from opportunistic microbes in the spacecraft environment. A third significant finding is the variability in gene expression, which reflects how a body reacts to its environment and will help inform how gene expression is related to health risks associated with spaceflight, the space agency said. While in space, researchers observed changes in the expression of Scott’s genes, with the majority returning to normal after six months on Earth. However, a small per centage of genes related to the immune system and DNA repair did not return to the baseline after his return to Earth. The results identified key genes to target for use in monitoring the health of future astronauts and potentially developing personalised countermeasures. “The data captured from integrated investigations like the NASA Twins Study will be explored for years to come.” she said. The findings represent 27 months of data collection. NASA’s Twins Study helped establish a framework of collaborative research that serves as a model for future biomedical research. It was supported by 84 researchers at 12 locations across eight states in the US, the data from this complex study was channeled into one inclusive study, providing the most comprehensive and integrated molecular view to date of how a human responds to the spaceflight environment. “To our knowledge, this team of teams has conducted a study unprecedented in its scope across levels of human biology: from molecular analyses of human cells and the microbiome to human physiology to cognition,” Craig Kundrot, director of Space Life and Physical Sciences Research and Application Division at NASA Headquarters said.